On 18 November two Chinese astronauts, Jing Haipeng and Chen Dong, landed back on Earth after spending 33 days in space, an event which was hardly reported in the western media. During their mission they spent 30 days aboard the Tiangong-2 space station. 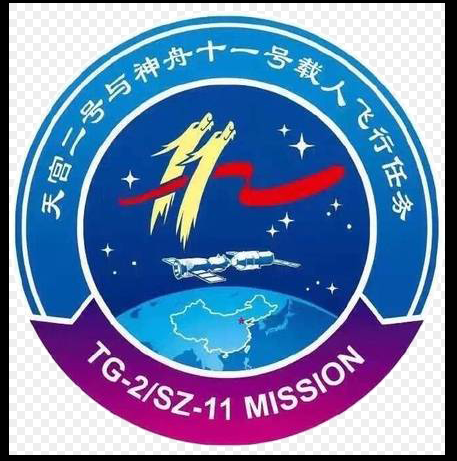 Tiangong-2, shown in the mission patch above, is the second space station launched by China and, compared to the International Space Station (ISS), it is relatively small. It measures only 10 metres in length by 4 metres in diameter and is designed to accommodate a crew of two astronauts, whereas the ISS normally has a crew of six. However, as I’ll discuss later, this mission is only one step in the Chinese space programme. China plans to launch a much larger space station by 2020 and put astronauts on the Moon during the 2030s. 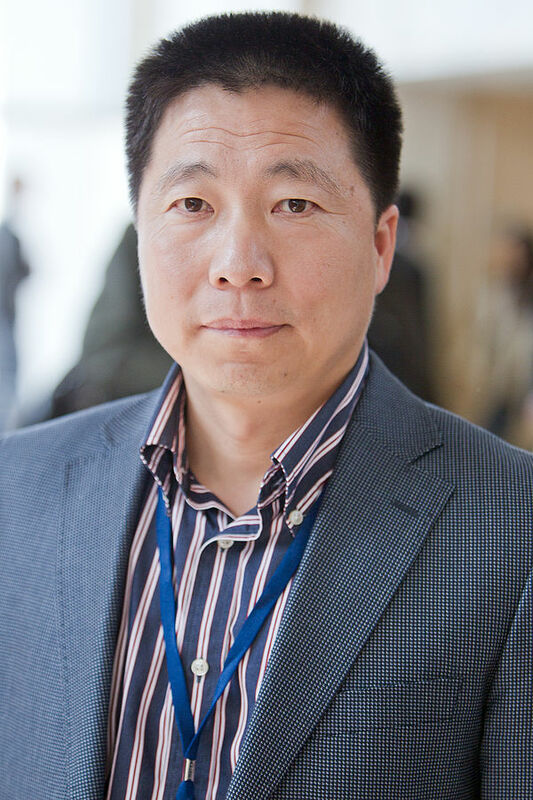 On 15 October 2003, Yang Liwei stepped into the Shenzhou 5 spacecraft and shortly after take off went into orbit to become the first Chinese astronaut. China then became only the third nation in the world, after Russia and the United States, to have their own space programme capable of putting a human into orbit without the assistance of any other nation. Since that first historic flight China has launched a further five manned space missions. The last three missions, Shenzhou 9, 10 and 11 have all docked with Chinese space stations, of which there have been two: Tiangong-1 and Tiangong-2. Tiangong is the Chinese for ‘heavenly palace’, which I think is a very appropriate name for a space station! In April 2017 Tiangong-2 will be visited by an unmanned supply spacecraft and later on in the year Shenzhou 12 will carry two astronauts to the resupplied space station (GB Times 2016). In 2020 China plans to build a larger 60 tonne space station. This will be too large to be launched on a single rocket, so the various components or modules will be launched on different rockets and the space station will be assembled in orbit. I can only imagine what a feat this will be ;-). Once assembled, this will enable Chinese astronauts to have a greater manned presence in space. It could eventually lead to a more or less permanently manned Chinese space station, in the same way that the International Space Station (shown below) is permanently manned with crews rotating every few months. 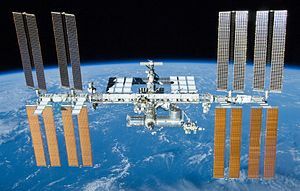 One reason the Chinese are going it alone with their own space station is that they are frozen out of any participation in the ISS by the United States, which fears the military nature of the Chinese space programme. In 2011 Congress passed a law prohibiting any official American contact with the Chinese space program due to concerns about national security. Interestingly, according to the Guardian (2016), China is planning to involve other counties in its space programme. China has already sent three space probes to the Moon. The first two, Chang’e 1 and Chang’e 2, both orbited the Moon. The spacecraft were named after Chang’e who was an ancient Chinese goddess who lived on the Moon with her pet jade rabbit to keep her company. 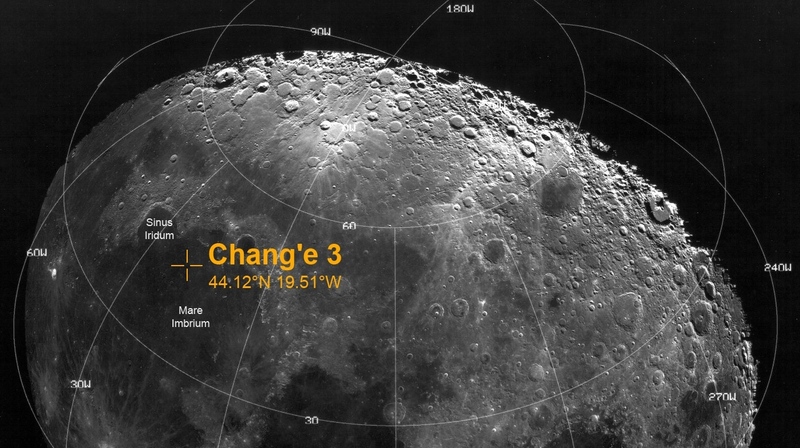 In December 2013 the third probe, Change’e 3, performed a gentle controlled ‘soft’ landing onto the Moon’s surface, the first spacecraft to do so for nearly forty years. It had a large array of scientific instruments to study the Moon’s surface and a six wheeled rover named Yutu (Chinese for jade rabbit), which was intended to move around and explore the Moon’s surface. The mission was a success although Yutu suffered failure after about a month on the Moon due to the intense cold on the surface of the Moon at night – it gets as cold as -130 degrees Celsius which restricted its ability to move around. The investment required will be huge. It is technically far more complicated to land astronauts on the Moon, then blast off from the Moon’s surface and return them safely to Earth, than to land an unmanned space probe on the Moon’s surface. In 1969, landing a man on the Moon gave the Americans a huge sense of national prestige. It also confirmed their standing as the most powerful country in the world, as at the time no other country could have done this. By 2025 China will have overtaken America as the world’s largest economy. By landing a human on the Moon China will confirm its new standing in the world. GB Times (2016) China’s Tiangong-2 space lab to launch in September, Available at:http://gbtimes.com/china/chinas-tiangong-2-space-lab-launch-september-dock-shenzhou-11-october (Accessed: 19 November 2016). Reuters (2016) China aims for manned moon landing by 2036, Available at:http://www.reuters.com/article/us-china-space-moon-idUSKCN0XQ0JT (Accessed: 26 November 2016). The Guardian (2016) China sends two astronauts to live onboard its Tiangong 2 space station, Available at: https://www.theguardian.com/world/2016/oct/17/china-sends-first-two-astronauts-to-live-onboard-its-tiangong-2-space-station (Accessed: 19 November 2016). Very interesting to see China investing heavily in their space program and ramping up with ambitious goals while the U.S. space program seems to be getting mothballed. Too bad there was nearly no coverage of this recent space venture. We in the US were too absorbed in the lunacy of the political campaigns and election. Our winner will not likely do anything to promote scientific cooperation and sharing of technologies with the Chinese. That is a shame. As a scientist, I am in favor of human-kind working together to make travel to space safer and more common. We have so much to learn. Plus, exploration is part of our nature. Well said. Sadly, I think you’re right! Seems to me – if you’ll permit a minor political (as opposed to scientific) comment – the risks to others of NOT allowing China to participate in international efforts is potentially more dangerous for the world than is co-operation. I believe that space exploration should be an international venture outside politics where the nations of the world work together. . I find it very odd that the US refuses to co-operate with China in its manned space programme and and has used its influence to ban China from any participation in the International Space Station. Thank u for filling this gap in my knowledge!